Do you feel like your grocery spending is out of control? Are you shocked by how much you’re paying at the check out and how little food is actually in your cart? 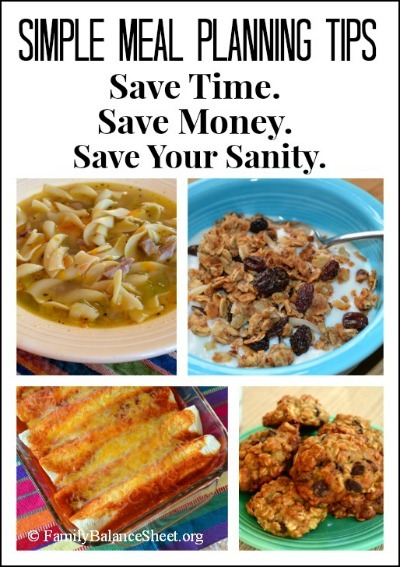 Do you constantly struggle at dinner time trying to figure out what to feed your family? In the next 31 days, we will tackle all of these questions and more. 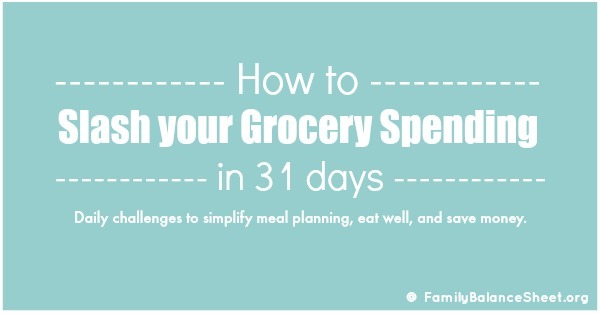 I am hosting a 31 Days to Slash Your Grocery Spending challenge. Every day this month, I will post one simple challenge to help you get control of your grocery spending. I promise you the challenges will not be overwhelming, but instead simple changes and habits to change the way we shop for groceries. 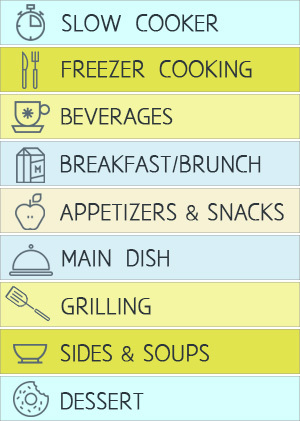 Groceries is the easiest budget category to get out of control, but it is also the easiest budget category to reduce. 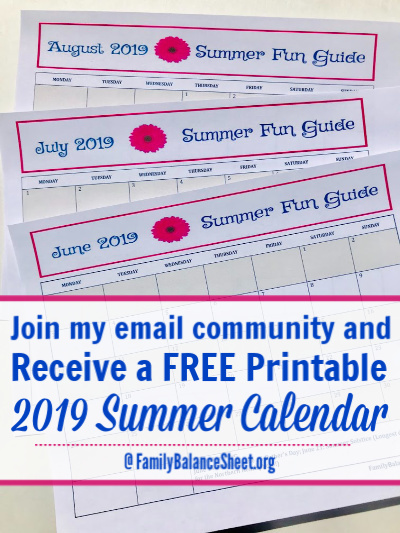 It does take some planning though, but not tons of time, and this month we are going to incorporate strategies to simplify meal planning and your grocery shopping trips. These strategies won’t leave your family miserable with bland meals, boring snacks and not enough food in the house either. Instead you’ll have a stocked kitchen, happy bellies, and new habits and strategies for grocery shopping to help you stay within your budget every single month. Are you up for the challenge? Great, let’s get started! First, we need to determine how much are you currently spending on groceries each month. 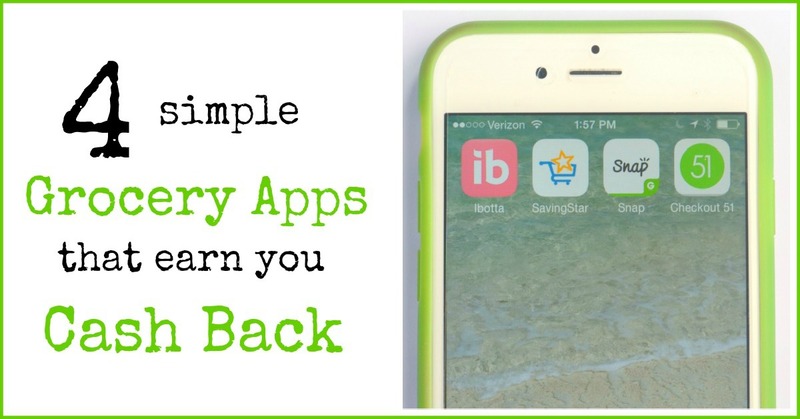 Gather up any receipts that you might have from previous months, or look at credit or debt card statements to add up your grocery trips by month. Get an idea how much you are spending each month and from this point on, please keep your grocery receipts, so we can keep a running monthly tally. How much should you budget for the month? Our current monthly grocery budget is $500 a month for my family of 4. We do not have any food issues and I’m not overly concerned with eating a 100% organic diet. I have two elementary aged daughters who are very hearty eaters. 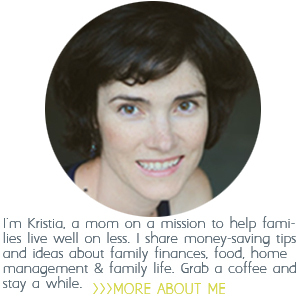 I will also be challenging myself this month to reduce our grocery spending to $450. Your monthly grocery budget will be based on your family’s size, dietary needs, and location, but must be within your overall budget. Honestly, only you can determine how much you can spend each month on groceries. A family of 6 will spend more than my family of 4, or an empty-nester’s household of 2. Use this month as a challenge to see how far you can slash your grocery spending. 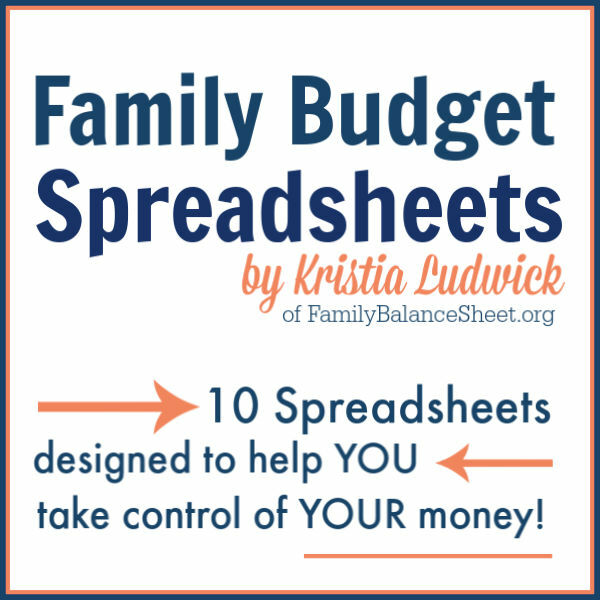 Determine a reasonable number that fits within your overall household budget. Day 1 Challenge: Plan this week’s meals and shopping trip. Hi! I’m excited to learn this month-ways to improve our eating and our spending on food 😉 Thank you! I really need to focus on our food budget. It has been really neglected lately.